The eight main island groups that form Micronesia include: Guam, The Republic of Palau (Belau), The Marianas, Pohnpei, Yap, Truk (Chuuk), The Marshall Islands and Kosrae. Each island group has its own unique cultures, language, history and attractions. The islands and atolls are the culminating result of volcanic activity, which took place millions of years ago. Many of the islands are the summits of huge, underwater mountains, or rims of sunken volcano craters, peaking through the water surface, forming tropical lagoons. Micronesia is renowned for its world class diving. The pristine waters plays host to a variety of dazzling marine life, from pelagics to world war wreck diving! Micronesia, means "small islands" and is the collective name given to the two thousand, tiny, tropical islands, scattered over an area of more than three million square miles in the western reaches of the Pacific Ocean, between Hawaii and The Philippines. There are eight island groups, states or territories that comprise the Micronesia and each has unique appeal to visitors. These tropical islands are rich in flora and fauna, culture and history and of course is the home of world class diving. The main diving paradises are the islands of Palau, Chuuk and Yap. Here you can find peace and adventure in equal quantities. They are areas of outstanding beauty with lush green islands surrounded by clear calm lagoons and coral reefs running into the deep blue seas. The underwater world is truly spectacular and is on the must visit list of most divers. 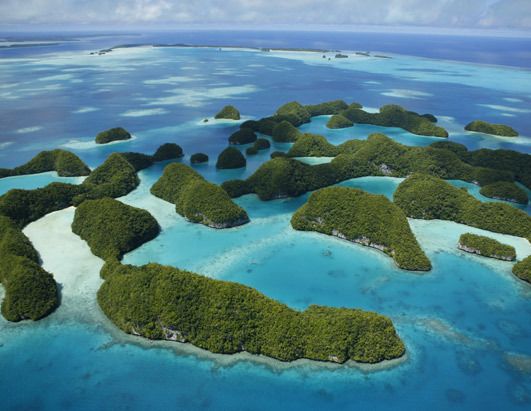 Palau is famous for it’s steep walls, great visibility, pristine reefs and huge amounts of marine life. At Chuuk (Truk) virtually a whole Japanese fleet lies within the shallow lagoon making this perhaps the best place in the world for easy access wreck diving. The outer reefs remain largely unexplored and provide many exciting encounters. 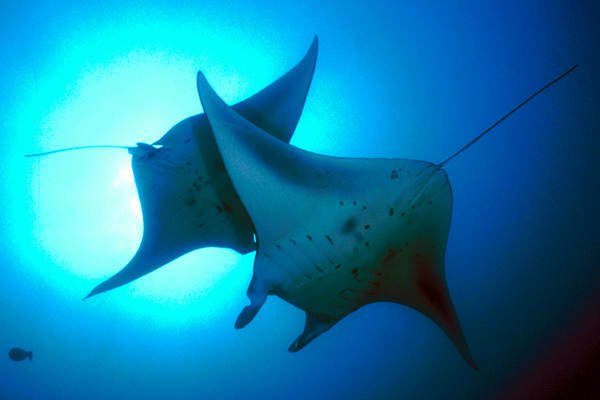 Yap is best known for the opportunity to see Manta Rays all year round but there is also a dazzling array of species on the water from small macro-life to large pelagics including other rays, sharks, tuna, marlin etc. The warm waters really do make this the ultimate paradise for divers and the relatively low tourist numbers only add to the appeal. However, it’s not all about diving and the islands are a fascinating destination for eco-tourism, naturalists and history buffs. Traditionally these islands have been costly and complicated to access, particularly for European and Asian visitors. This has now changed as the opening of new routes and regular services from The Philippines means that Micronesian islands are now just a relatively short flight from Manila or Cebu. The introduction of low fares now makes The Philippines the hub for Micronesia and means that travel to Palau, Chuuk and Yap is easier than ever before. In fact a combined Philippines and Micronesia diving holiday is the perfect way to begin discovery in this part of the world. Please have a look at our packages or contact us directly to help you plan your visit to the Pacific region.